Steven B. Lechner is President of Lechner Realty Group, Inc. Since 1970, he has engaged in general real estate practice and his experience includes appraising, managing, financing, leasing, and selling of real property. Although not active in appraisal work, he holds the SRA Designation of the Appraisal Institute. In 1974, he established Steven B. Lechner Real Estate Company which became Lechner Realty Group, Inc. 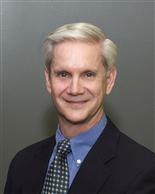 He has exclusively represented various clients in site selection including Bassett Furniture and Value Place Hotels. Steve is a licensed real estate broker in the States of Missouri and Illinois.